This month Birchbox are supporting the charity Coppafeel, who are trying to stamp out the late detection of breast cancer by trying to make sure everyone knows the signs and symptoms of breast cancer and by encouraging women to check their breasts. On Friday 29th August between 10am and 7:30pm the #BirchboxManithon will be taking place in London's Soho Square. There will be 20 manicure stations offering express manicures for a minimum donation of just £5, with all proceeds going to Coppafeel. The event will also be co-hosted by The Xtra Factor's Sarah-Jane Crawford. If you'd like to pop down to have a manicure you can book your space here. If you won't be able to make it to London but you'd still like to contribute, renowned fashion illustrator Sally Faye Cotterill has designed a limited edition T-shirt that you can buy in the Birchbox e-shop for £12, with 100% of the profits also going to Coppafeel. If you'd like to grab one of these special T-shirts you can find them in the Birchbox e-shop here. 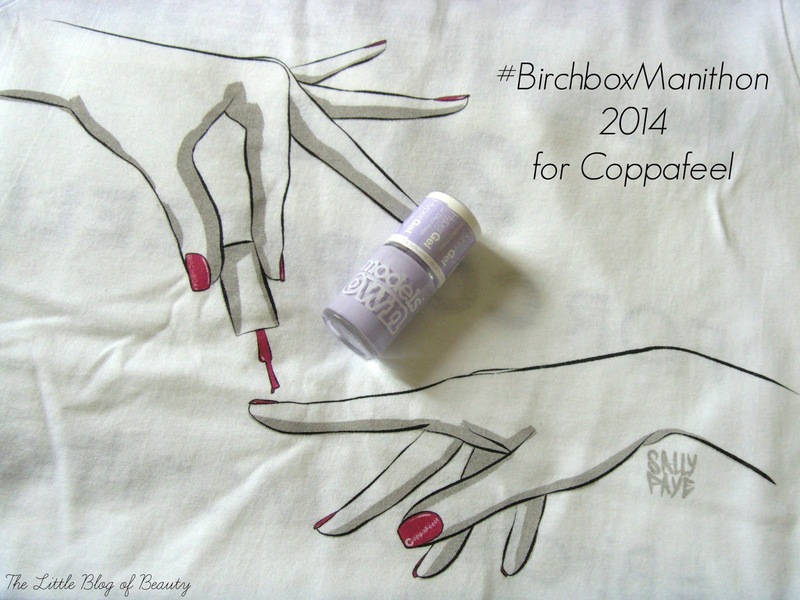 Birchbox very kindly sent me a T-shirt* and a gorgeous Models Own Hypergel nail varnish in Lilac Sheen* so I can create some nail art to celebrate the #BirchboxManithon as unfortunately I can't get to London to join in. I'm quite busy over the next week but I'll try my hardest to get something ready to post on the day of the Manithon. If you'd like to sign up for a monthly, 6 month or 12 month subscription with Birchbox you can do so here. Will you be heading over to the #BirchboxManithon?